The reversal by Trump on Obama’s Iran deal has more to do with a spiritual war going on behind the scenes than any other factor, per the Zetas. Early in the ZetaTalk saga, over 20 years ago in 1995, the Zetas explained that a spiritual Transformation is in process for planet Earth. Like a shark swimming below the surface, only visible by a fin cutting through the water, those willing to do harm to others are well disguised. ZetaTalk Description 7/15/1995: The Earth is undergoing a subtle transformation, as the Transformation is now. This Transformation has been progressing for at least this century, and will go for at least a century more. The Earth has been designated as a future home for Service-to-Other oriented entities. To qualify for Service-to-Other orientation, an entity must consider others as often as the self. To qualify for Service-to-Self, the entity must focus on the self 95% of the time, almost exclusively. Where it may seem that these individuals would stand out, some very diplomatic and cultured people are of this category. They are able to disguise their self interest in condescension to others. They are able to disguise their self interest as the interests of the other. The world involves an increasing separation, by orientation, as the Transformation proceeds. There are Secret Societies, with secret membership and initiation rites. What is the purpose of these Secret Societies, and is it for the betterment of mankind? Who gets invited and why? Who belongs? Is it an inherited position, like royalty, and why are bloodlines important? You are special. You were chosen. You are owned and cannot escape. There is the Illuminati, the all-seeing eye that even shows up on the US Dollar bill. In the US there is the annual Bohemian Grove raves, where members dance around a fire in the woods. Skull and Bones at Yale, likewise by invitation only and with strange initiation rites. They secretly meet for seventeen days each July in a remote “sacred grove” of ancient redwood trees in the deep forests surrounding San Francisco. Some 1,500 in number, their membership roll is kept secret, but includes the super-rich, blood dynasty member families of the Illuminati. Stories have come out of the Grove about wild homosexual orgies, male and female prostitutes being engaged in what can only be described as extreme sexual games, young children being exploited in unspeakable ways, up to and including cold-blooded ritual murder. There are stories involving actual human sacrifice on the “altar” of the owl God statue. The campaign for the 2004 presidential election was a horrible slog. Not only was America in the beginning of what would become a forever war in the Middle East, but it was becoming apparent that president George W. Bush was not the best person to be steering the ship. Unfortunately, his opponent, John Kerry, wasn't really anything special. Aside from having actually gone to Vietnam (something Bush managed to avoid), the two really weren't all that different. They're both from old money New England families, they're both quasi-religious, and they were both members of Skull and Bones. ZetaTalk Insight 5/31/2018: Things are not always what they seem. In particular, those in the Service-to-Self are adroit at posturing as friends, helpful and concerned about the welfare of others, when the opposite is their intent. Common phrases such as “a wolf in sheep’s clothing” or “back stabber” show that this behavior is common. The world is in the midst of a spiritual Transformation. This is more than the ratio of Service-to-Other souls vs Service-to-Self, because so much of human society has been under the control and direction of those in the Service-to-Self. It is more than the presumption that royalty has rights, more than the control that election fraud provides, more than the influence of bribery or intimidation, more than the blackmail used against those involved in pedophilia, and more than the deliberate enrichment of the 1% while the 99% are impoverished. 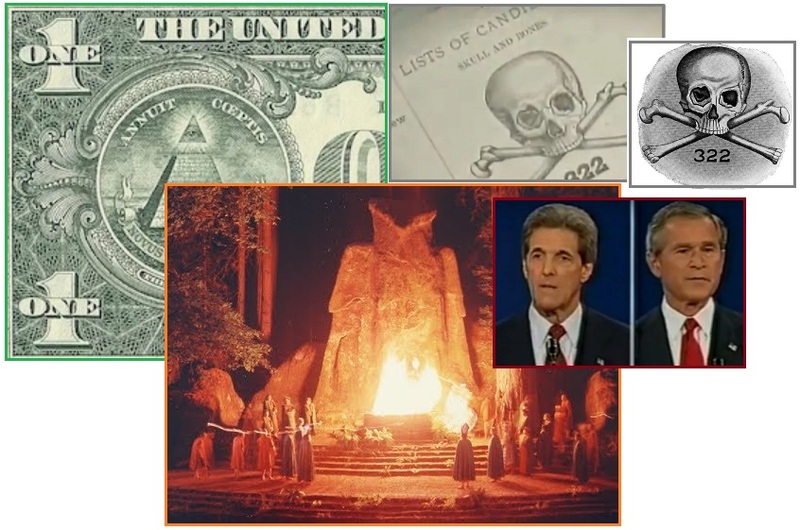 It is more than participation in Secret Society functions, such as Bohemian Grove or Skull and Bones, or Spirit Cooking or the Kazarian Mafia’s practices of human sacrifice and the consumption of human flesh. 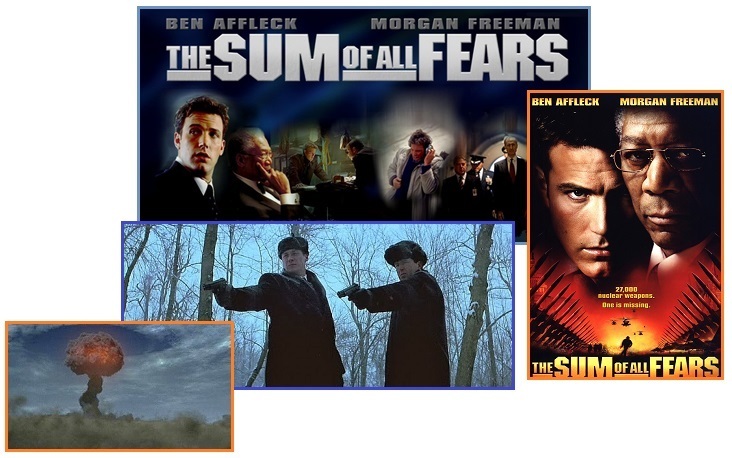 These groups do not all act as one, but frequently partner with each other for mutual benefit. The Service-to-Self seek control over others and thus bribery and intimidation are tools they use. Evidence of illegal activity, such as pedophilia, is a useful tool and thus politicians are invited to parties where pedophilia occurs. Now we control you. In that knowledge is power, the fact that Nibiru exists and will return at this time was hidden and held for the benefit of those in the Service-to-Self. The Book of Enoch was removed from the Bible. The Egyptian records as recorded in the Kolbrin were hunted and burned. The Third Secret of Fatima is hidden even today. And a cover-up over the fact of Nibiru and its pending passage was imposed. ZetaTalk Comment 5/12/2007: Enoch was one of the books dropped during the re-writing of the Bible that took place early in the last millennium. It was too descriptive of the coming pole shift, and what signs to look for, for the comfort of control freaks who were at the helm of the Christian religion at that time. The Kolbrin, written by the Egyptians and likewise highly descriptive, was also targeted, and only survived because it was written in copper, which did not burn during one of the arson attempts to destroy the Kolbrin. Subsequently taken to New Zealand for protection, the Kolbrin survived. Why did the controlling elite want to prevent the common man from knowing the signs, and the cause of the Earth changes that would beset them? Knowledge is power. Are the predictions in the Bible that a final battle will break out in the End Times destiny, or a deliberate ploy? 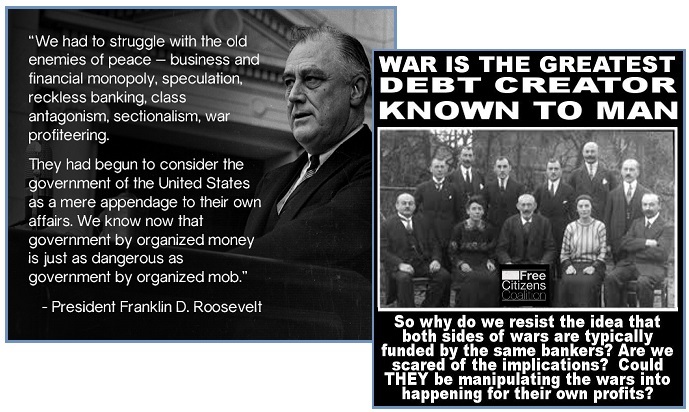 As is of record, the Kazarian Mafia funded both sides during great wars, profiting from both. Wars also debilitate nations, so they present an opportunity for enslavement and takeover by those in the Service-to-Self. Thus the criminal Bush and Clinton political families enabled both N Korea and Iran in their quest to have nuclear weapons. Thus the press by Trump and his Junta to disable this process. Thus the deliberate disinformation that the End Times will include a final battle. War is a business. Profits swell. War never stops. Whole sections of the earth live in terror. ZetaTalk Insight 5/31/2018: Those in the Service-to-Self, who presume to rule the world, are well aware of the approach of Nibiru and what this will do to the Earth. 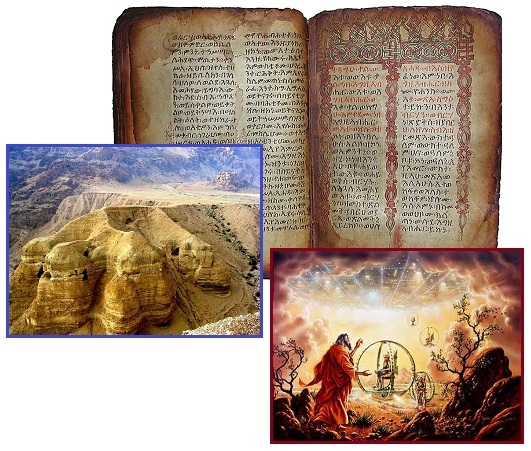 They arranged to remove the Book of Enoch from the Bible, as it gave too many insights, while Revelations was allowed. They attempted to destroy the Egyptian Kolbrin too, for the same reasons. Their hand is absolutely at the helm of the cover-up over Nibiru, suppressing and punishing attempts to educate the public. The secret war against the Deep State has this battle at its heart. Why is this war secret? In preparing for the End Times, those in the Service-to-Self have been instituting practices that weaken the common man. Poverty, drug addiction, a sense of hopelessness - all benefit the Service-to-Self. It has long been prophesied that a final battle will occur in the Middle East. In fact, this is not destiny but the intent of those who would rule. Both sides spend to fund the war, and then spend to recover. It is more than the profit, it is the opportunity that war brings – devastation, disease, and asserting control over those weakened by war. It has thus been the goal of those who hope to rule the world to start World War III, and to this end both the Bush and Clinton administrations arranged over the past few decades to put nuclear technology into N Korean hands, and the Iran deal was arranged to allow Iran to continue its nuclear program in Syria. They wanted both Russia and the US to be drawn into war, though both Putin and Trump and his Junta are too smart to be gamed in this way. The Iran deal forged during the Obama administration funded these efforts. Now that has been stopped, though the secret wars are still in process. More to come! Not days after President Trump signed the Executive Order to end payments to Iran, as per the Obama era agreement with Iran, Israel started a war. 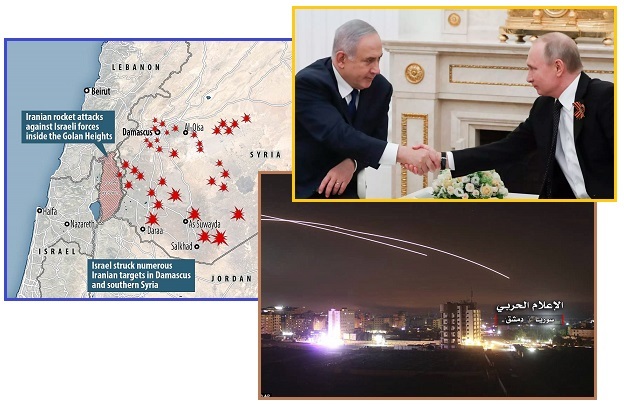 It may be under debate as to who started the exchange, but missiles flew between Israel and Damascus in the Golan Heights in Syria, near the Israel border. How did Iran suddenly get so close to Israel? And why would Iran want to start a war with Israel? Seems Bibi Nethanyahu, as the presumed leader of the Kazarian Mafia, is intent on starting a war with Iran. It’s time. It’s the End Times, afterall. Iran and Israel traded blows on the Syrian border overnight, marking the first time Tehran has directly attacked Israel. Last night, Iranian forces fired 20 rockets from Syria at Israeli front-line military positions in the Golan Heights, the Israeli military said. UK-based Syrian Observatory for Human Rights said the Israeli strikes killed at least 23 military personnel, including Syrians and non-Syrians. The Uranium One deal facilitated by then Secretary of State Hillary Clinton is intrinsically interlaced with the plot to start World War III going into the End Times. Her approval was required, and she was paid well in millions donated to the Clinton Foundation. Of course, as usual, almost all these funds go directly to the Clintons, as only 5%-15% of the donations actually go to charity. The deal was supposed to ensure that the ore went to Canada and then only to US friendly countries, but the ore was diverted to Iran and North Korea. Now the Transformation Team is taking action. In October 2013, Uranium One Inc. became a private company and a wholly owned indirect subsidiary of Rosatom. From 2012 to 2014, an unspecified amount of Uranium was reportedly exported to Canada. Most of the processed uranium was returned to the U.S., with approximately 25% going to Western Europe and Japan. Since uranium is considered a strategic asset with national security implications, the acquisition of Uranium One by Rosatom was reviewed by the Committee on Foreign Investment in the United States (CFIUS), a committee of nine government cabinet departments and agencies including the United States Department of State, which was then headed by Hillary Clinton. The plot to secretly arm Iran with Weapons-Grade Uranium was accompanied by selective assassinations in 2011 and 2018. Russian scientists who had been working with Iran were killed by an obvious plane crash near Moscow, so that what they knew about the transfer of technology to secret sites in Syria would be forever silenced. Ivanov Vyacheslav of Rosatom/UraniumONE was silenced in 2018 by another suspicious plane crash, so likewise could not be a witness. They were among 45 killed when the plane's lights failed in heavy fog and careered into a motorway in north-west Russia before bursting into flames - leading conspiracy theorists to believe it was a deliberate plot to kill the nuclear experts. Russian security sources confirmed that the dead scientists worked at the controversial Bushehr nuclear plant on the Iranian Persian Gulf. As Russian authorities released passenger names on the official Death list, several of those now-deceased names raised immediate "red flags" because they appear to be directly connected to the Hillary Clinton / Barack Obama UraniumOne Conspiracy. Dead in today's plane crash is Ivanov Vyacheslav allegedly of Rosatom/UraniumONE who was involved in Hillary's Uranium One deal with Russia back in 2009 under Barack Obama. The enigmatic Q told us back in November that Uranium One ore had been diverted to Europe and thence to Asia and thence to N Korea and Iran. Both these rogue countries wanted to develop the bomb, but were hampered by the lack of Weapons-Grade Uranium, thus have to slowly extract small amounts from power plant waste via centrifuge. Per Q kickbacks of the cash Iran received were involved, payoff to all those Europeans who rushed to try to convince Trump to stay in the Iran deal. Per Q a bomb developed by Iran in Syria was to implicate, incorrectly, the Russians, as the story in Sum of All Fears. This drama is not yet over. Define the terms of the Iran nuclear deal. Does the agreement define & confine cease & desist ‘PRO’ to the republic of Iran? Where did the cash payments go? Did all planes land in same location? ZetaTalk Insight 5/31/2018: Uranium One is currently under investigation by Trump’s DOJ, but indictments have not yet been served. 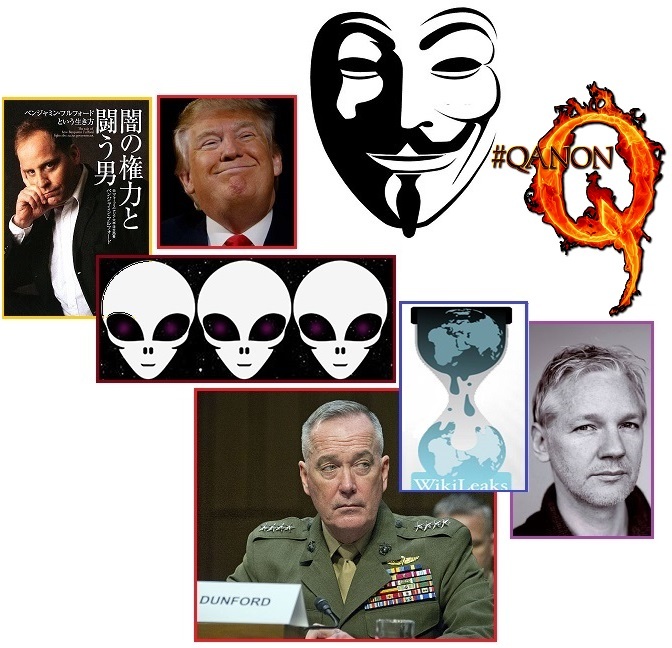 Even then, the full truth may not be revealed by the media, but the enigmatic Q is laying it out. Just as North Korea was given nuclear technology by the Bush and Clinton administrations in the past, in order to incite World War III at this time, Iran was likewise given a boost. The Uranium One deal had as its goal providing Iran and North Korea with Weapons-Grade Uranium. Refining power plant waste for this purpose is the alternative, but too time consuming with scanty product. Much confusion is sown in the media about the Iraq Wars, ISIS, Israel’s role, and the ongoing battles in Syria. The truth is that 911 was an inside job by the Bush Administration to provide an excuse to invade Iraq and seize the oil fields. The oil fields of Iran and Saudi Arabia were to be next. A war with Iran was desired since the New World Order crowd wanted an End Times war. To that end, Iran was encouraged to establish secret facilities in Syria. Throughout all of this, Putin and Assad and the Ayatollah Khomeini were demonized as though this were their personal plan. It was not. In every country or corporation or organization, there are many factions, each with their own agenda. To get Weapons-Grade Uranium to Iran and North Korea, the New World Order crowd had to arrange for this ore to go from the US to a Canadian company with export restrictions. Via the usual bribery and pointed assassinations, it moved through several intermediaries to Iran. The Clinton Foundation received millions. In 2011 a plane load of Russian scientists working with Iran went down and in 2018 a Rosatom CFO was assassinated. Even though Gorge Soros is dead, his ghost lives on in the Soros network established by his billions during his lifetime. As a member of the New World Order crowd, he incited riots and destabilization in the US, supported Hillary in 2016, and fomented the Ukraine coup. They seek to destabilize Russia too, as the Kemerovo mall blast shows. The Zetas explain the link to the Soros network. The emergency services reportedly deployed some 15 fire teams, while the national center for crisis management announced that over 660 people were engaged in emergency response activities. Witnesses have insisted that fire alarms in the trade center, which was completely packed, failed to go off, causing people to panic and rush through narrow corridors in a movie theater and children’s playground, filled with black smoke; some jumped out of windows to save their lives. Russia’s Investigative Committee has launched a criminal investigation into the case, having reportedly arrested four suspects, including the head of the management company, servicing the shopping mall. An employee of a private security company (PSC) switched off an alarm system in a shopping mall in the Siberian town of Kemerovo. ZetaTalk Analysis 3/31/2018: Kemerovo is in the heart of central Russia, in the highlands that will provide a land bridge to the highlands of China and the Far East to drowning Russians after the Pole Shift. It could also be a land bridge for ambitious Europeans. Where most terrorism in Russia is due to Chechen rebels or those within the Russian Foreign Service sympathetic to the Chenchen cause. Just as the US has its Deep State players in the CIA pushing their own agendas, Russia has the FSB. The Soros group was responsible for the St. Petersburg bombing in 2017, trying to trigger WW III. They are again at the helm of the Kemerovo fire, trying to disrupt the land bridge for Russia and China, leaving it open for a takeover. 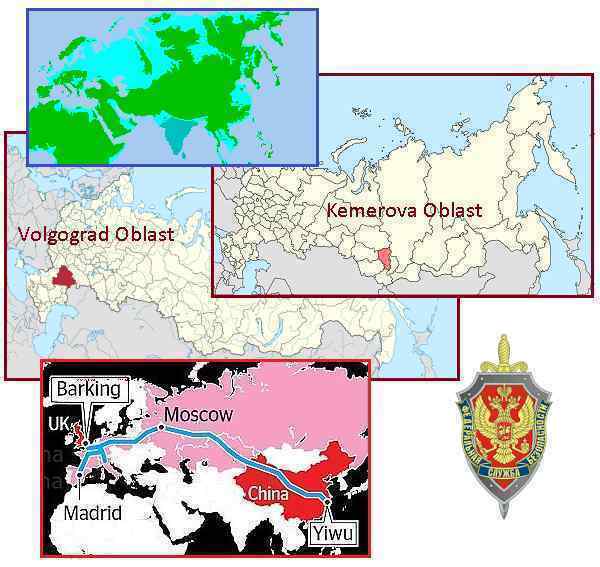 Note that Kemerovo is directly in the path of the new Silk Road railroad being developed by China and Russia.